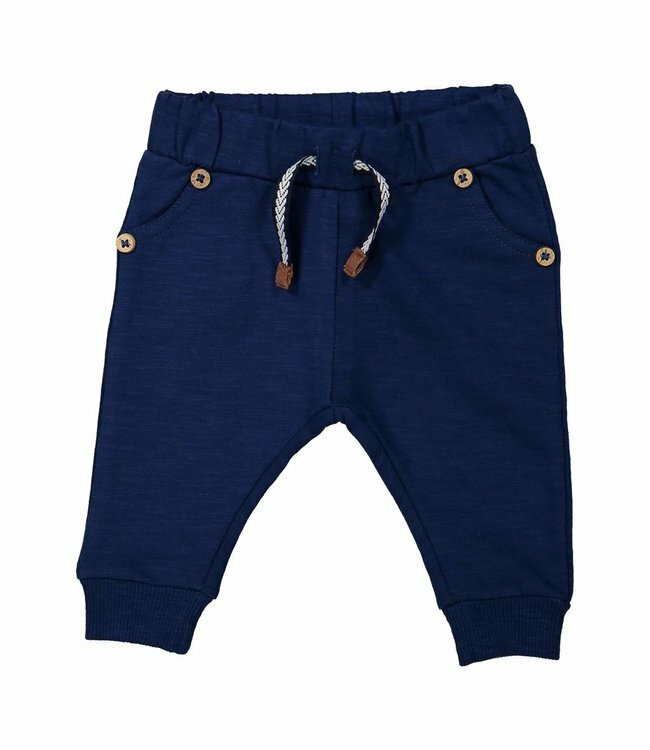 A blue boys short without closure, with a wide elastic waist. Plain without drawing or text. 2 side pockets and a blue white decorative cord, finished with brown decorative buttons. 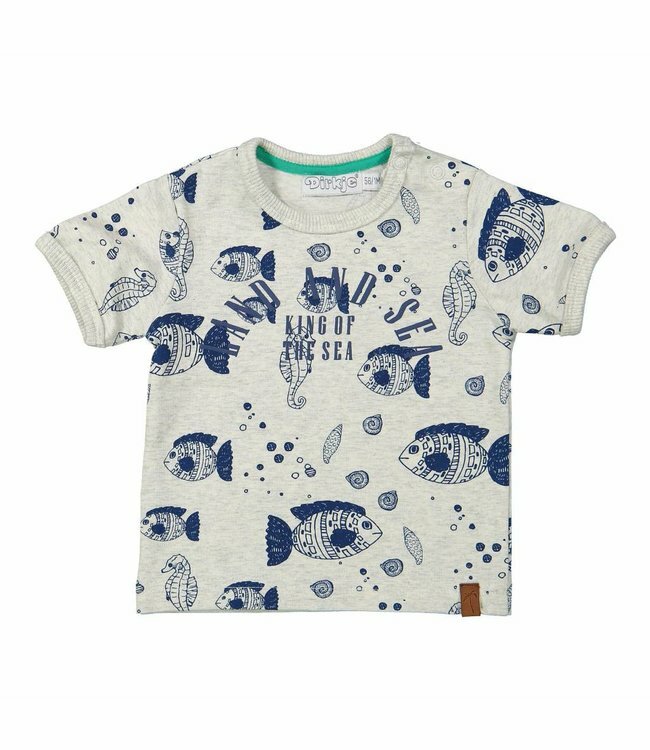 Read more..
Blue boys short Indigo blue from the baby and children's clothing brand Dirkje. A blue boys short without closure, with a wide elastic waist. This short is plain without drawing or text. The short has 2 side pockets and a blue white decorative cord, finished with brown decorative buttons.